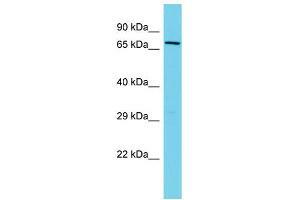 Characteristics This is a rabbit polyclonal antibody against FERMT2. It was validated on Western Blot. Background FERMT2 participates in the connection between ECM adhesion sites and the actin cytoskeleton and also in the orchestration of actin assembly and cell shape modulation. It recruits migfilin (FBLP1) protein to cell-ECM focal adhesion sites.